Paternal DNA matches with some of the Nowlin descendants. In the process of sorting thru my DNA matches and looking at their trees in order to identify our common ancestors I noticed that I had a good many matches who were descendants of Bryan Ward Nowlin and wife Lucy Wade. Their Great Grandson Bryan Ward Nowlin (son of Jabus Swanson Nowlin) died in 1861. I located his will in Marshall Co TN Probate records on Ancestry.com and learned that he was a doctor. He and Rebecca Ewing Niell had 10 children only 5 of which lived beyond the age of 7. That must have been heartbreaking. He lists the surviving children in his will. a snippet of which is shown below. B. W. Nowlin himself was only 41 when he died. These DNA matches are on my Paternal side and the Bedford, Marshall, Rutherford and Williamson Co TN area is where m Dad's lines lived. Below is the chart showing the Total cM Comparisons over Known Relationships for my Daughter. 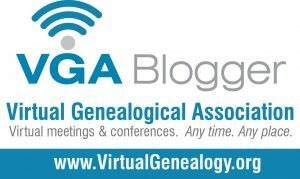 For those interested in seeing more comparisons and averages check out The Shared cM Project at The Genetic Genealogist's website. Also there are several charts at the ISOGG wiki.